Cactus Communications, Inc. is a pioneer in language services, serving more than 60,000 clients across 116 countries. We employ a global team of highly skilled editors who are experts in various academic fields. We’re currently looking for specialist freelance copyeditors and substantive editors. Our Freelancer of the Month for July 2014 is Victoria O’Dowd, a proofreader and copy-editor based in Bingley, West Yorkshire. Hi Victoria! Can you tell us a bit about the nature of your business? I offer proofreading and copy-editing services in various different areas and, to date, I have taken on a varied portfolio of work, which includes websites, brochures, business reports, student essays, dissertations and fiction. The student work I have worked on is mainly from ESL students either here or abroad. Also, with my background in literature, I really enjoy working with self-publishing authors, mainly in the capacity of a copy-editor. The decision of a family member to self-publish a book provided me with my first invaluable experience in the field of fiction. Prior to working as a freelance proofreader and copy-editor, I worked in the conference industry in London and Leeds, organising all aspects of conferences and events from research, writing proposals and planning through to the event itself. Although I enjoyed many aspects of the job, I didn’t find it particularly fulfilling, so when I stopped work to start a family I made the conscious decision to change direction. Following my first degree in English Literature I decided to go back to University and gain a Master’s in 20th Century Literature. This involved a lot of research, which I particularly enjoyed, and faced me with a decision: either to continue with further research and study or go back to work. As it turned out, I did both. To gain experience I took on various research projects on a voluntary basis, including one for the National Trust. It became very apparent to me at this point that many people offering research skills were also offering proofreading and copy-editing. I decided to enrol on the Publishing Training Centre’s Basic Proofreading Course, which I thoroughly enjoyed…so much so, in fact, I decided to continue (studying!) and enrolled on the Copy-Editing course. It was at this point that I realised this was where my real interest and skills lay. Of course, getting the training under my belt was very important; however, getting that first piece of work was harder than I thought. I used friends and family as initial contacts and did some small pieces of work for recommendations; this led to more work and, by chance, I was put in contact with a proofreading company looking for more proofreaders. This proved to be my lucky break and my first paid work! Shortly after, I set up my own website, joined the SfEP and took out listings in various different directories. Since setting up my own business I have been fortunate with work—although it can ebb and flow at times—and I have really enjoyed proofreading and copy-editing, which has become my main focus now rather than the research I originally set out to do! I enjoy the freedom that it affords me. Yes, I have to be very organised and gauge the level of work that I am able to take on, so that I don’t fail to meet deadlines. But I can also plan work around my home life and, as long as you don’t mind that your work doesn’t always fit into a 9am-5pm schedule, having the flexibility is definitely worth it. For me, the only downsides about working for myself are the time pressures. When I’m really busy, I get up very early to work before the rest of the house is awake and often work past midnight to meet a deadline. Keeping on top of the admin side of proofreading can be a challenge too when I’m busy. It is tempting to focus on completing one piece of work and then move straight on to the next, but admin is equally as important. Being organised is crucial when working for yourself. In the initial stages of proofreading and copy-editing I realised that networking was key; it was this that got me my first work. In addition to that, after setting up my website and printing business cards and leaflets, I took out listings in online directories, both general and specific to proofreading/copy-editing. These have proved to be my most useful source of business after word-of-mouth recommendations. I have only just put my toe in the water as far as social media is concerned—having recently joined Twitter—and I find myself on a great learning curve of possibilities! Definitely my reference books: these are the tools of my trade. Part of what I love about what I do, working with language and words every day, is that you are always learning. My MacBook is also invaluable to me. I switched to a Mac a few years ago, and I haven’t looked back! When I’m not working the thing I like to do most is to go walking in the Dales. I’m a keen skier and hill walker and have done several walking challenges for charity like the Yorkshire Three Peaks, the National Three Peaks and also two attempts at the Welsh 3000s—we were beaten back by the weather on both occasions. A good hike across the moors is the perfect antidote to the deskbound work of proofreading. However, for as long as I can remember I have had a passion for mountain literature, and I collect mountaineering books. My favourite of these is The Shining Mountain by Peter Boardman. Firstly, I would say that training is key. Perhaps the best piece of advice I was given when I decided to pursue proofreading and copy-editing was to choose the right training course, i.e., one that is recognised by the industry; for example, the Publishing Training Centre and the SfEP courses are the ones to enrol on. This helped to provide me with a firm foundation on which to build my business. There are some great guides too about getting started; for example, Louise Harnby’s Business Planning for Editorial Freelancers: A Guide for New Starters covers everything from setting up your business, finding work and also really useful advice on looking after the admin side of your business, which is incredibly important as being organised and maintaining a professional image with your clients is also key to being successful. Finally, everyone knows that networking with potential clients is very important, but networking with fellow proofreaders can be equally as important. As a member of the SfEP I have attended local group meetings and met other freelancers from varied backgrounds and with different levels of experience. This is a vital source of help when starting out. After all, who better to get advice from than those who are doing it already! 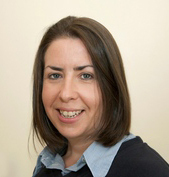 Victoria O’Dowd is a freelance proofreader and copy-editor based in Bingley, West Yorkshire. Her website is www.proofandcopyedit.co.uk and her Find a Proofreader listing can be viewed here.